SRINAGAR: Directing police officers to gear up to provide foolproof security for upcoming panchayat and urban local bodies polls in the state, DGP Dilbag Singh on Wednesday asked them to prepare contingency plans to tackle any eventuality in the civic polls, before briefing Governor Satya Pal Malik on the security and law and order situation, later this evening. On Wednesday, the state police chief held a meeting with the top police officers of Kashmir Zone through video conferencing. The DGP directed the district senior superintendents of police (SSPs) and deputy inspectors general of police (DIGs) that deployment plans should be worked out and fine tuned in such a way that foolproof security is provided for these polls. He said whatever support in shape of logistic and manpower is required is being pooled out and would be placed at the disposal for smooth conduct of the polls. Singh said stern action should be taken against the elements who foment trouble and at the same time contingency plans should be ready to tackle any eventuality. 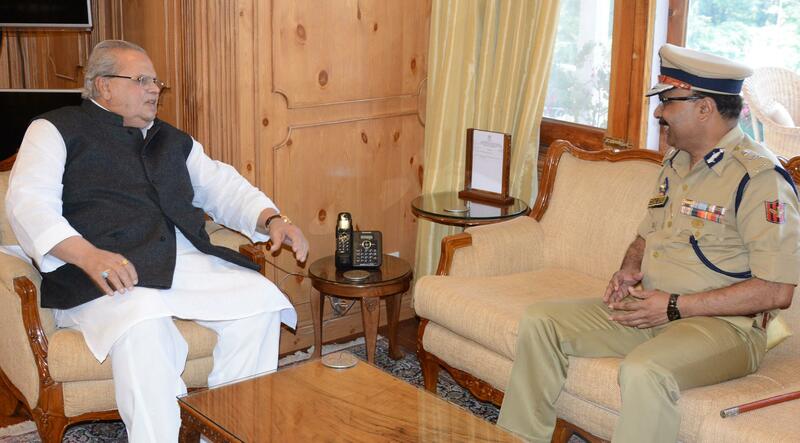 Later in the day, the DGP called on Governor Satya Pal Malik at the Raj Bhavan here. Singh briefed the governor about several important matters relating to security and law and order management, an official spokesman said. The governor emphasised on the importance of maintaining public order as a first step towards securing peace and normalcy in the state. He also talked about the importance of regularly reviewing and ensuring the security of all protected premises, the spokesman said. Malik stressed that all the forces must act with complete synergy to achieve effective security on the ground.